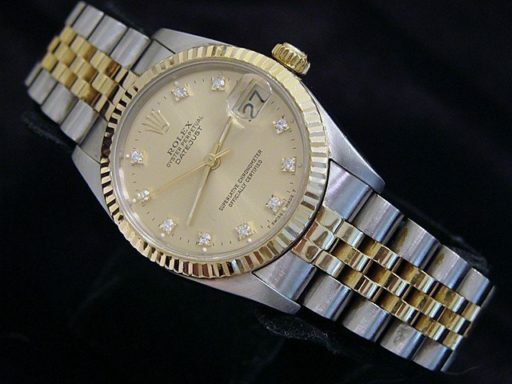 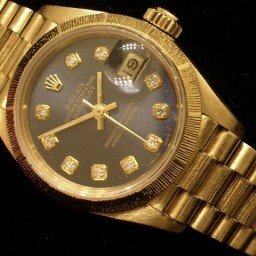 BeckerTime is proud to offer this gorgeous Midsize 31mm 100% GENUINE ROLEX 2Tone 18K Yellow Gold & Stainless Steel Datejust Watch ref #68273 with a FACTORY ORIGINAL ROLEX DIAMOND DIAL. 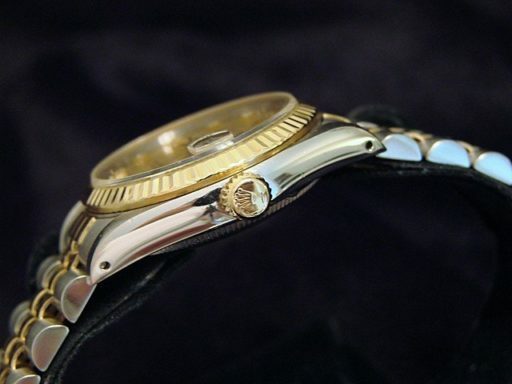 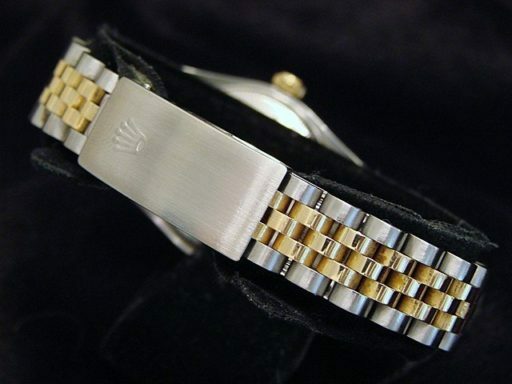 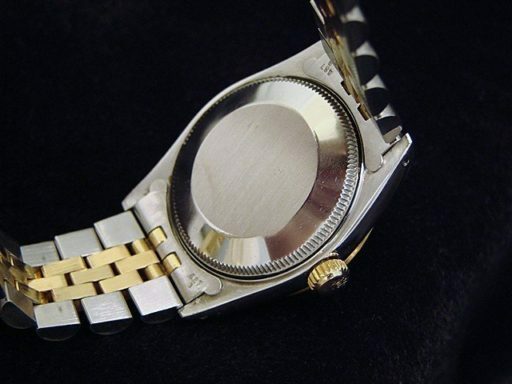 And it get’s better…This GENUINE ROLEX is the desired QUICKSET MODEL with a Rolex Jubilee band. It is in SUPER EXCELLENT CONDITION. 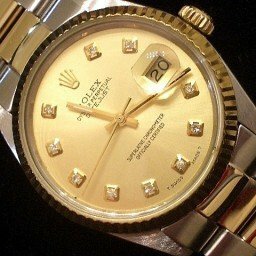 Dial Rolex GOLD CHAMPAGNE dial with 10 genuine round brilliant diamonds. This is a factory original diamond dial that is produced by Rolex.